He didn’t realize it right away, but Jeff Hunter has always had an entrepreneurial spirit. He grew up surrounded by his parent’s computer store and learned early on that being his own boss afforded a variety of perks he simply would not find working a corporate gig. 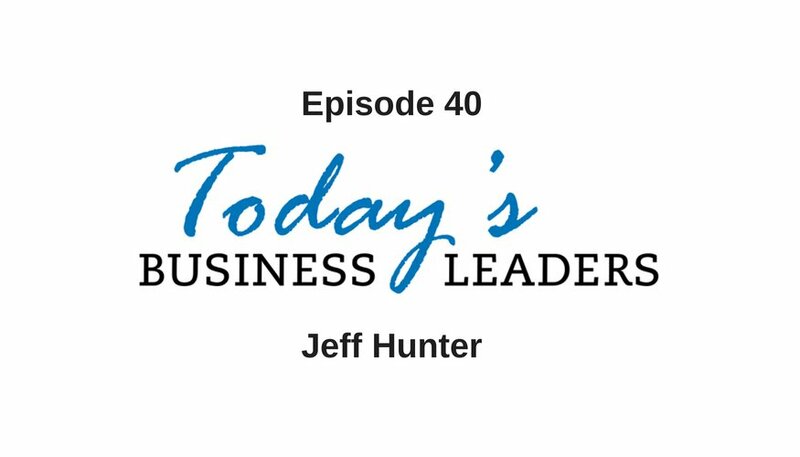 Jeff is the latest entrepreneurial phenom to share his journey and experiences with Gabe for this installment of Today’s Business Leaders. Jeff always had an interest in computers and IT, and this led him to work as a project manager in a major corporation. He had his breakthrough idea when he began outsourcing specific tasks to virtual assistants. By unloading the menial, but still completely necessary functions related to his job, Jeff was able to refocus his efforts and make tremendous strides with his work. Jeff saw an opportunity in connecting entrepreneurs with talented and skilled virtual assistants. At the same time, his corporate bosses were not too thrilled with the amount of time he was spending on his new venture. This led to the launch of Jeff’s business, VA Staffers. Many U.S.-based entrepreneurs need help, but cannot afford to pay U.S.-based assistants. However, in many countries, the cost of living is significantly less, so U.S.-based entrepreneurs can afford to bring on the help they desperately need when they tap into a foreign workforce. Jeff now runs a business that includes a team of about 50 people from all over the world. Jeff’s team is the foundation of his business. He actually prioritizes his team members above his clients, because without a strong team he would lose his clients. able to match clients with highly skilled and competent assistants. “You can only go so far in your business by yourself,” explains Jeff. Learn more by visiting the VA Staffers site or Facebook page. You can connect with Jeff via email, his professional Facebook page or his personal Facebook Page. Find out more about the solutions available from Gabe’s business and catch up on past episodes of the podcast.